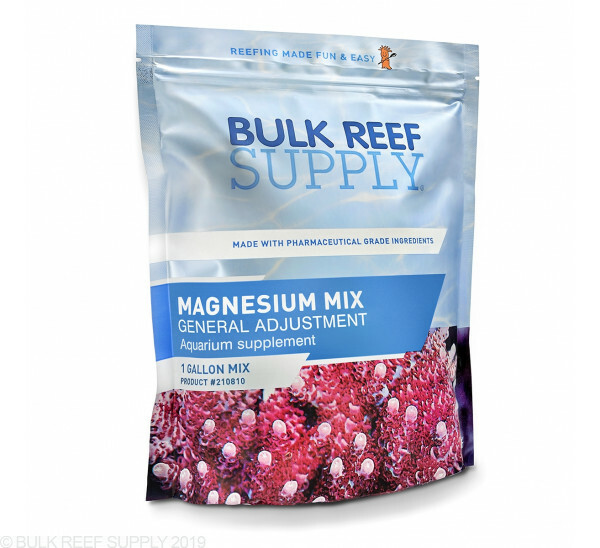 Ultra Pure Magnesium Additive for General Adjustments in your Reef Tank! 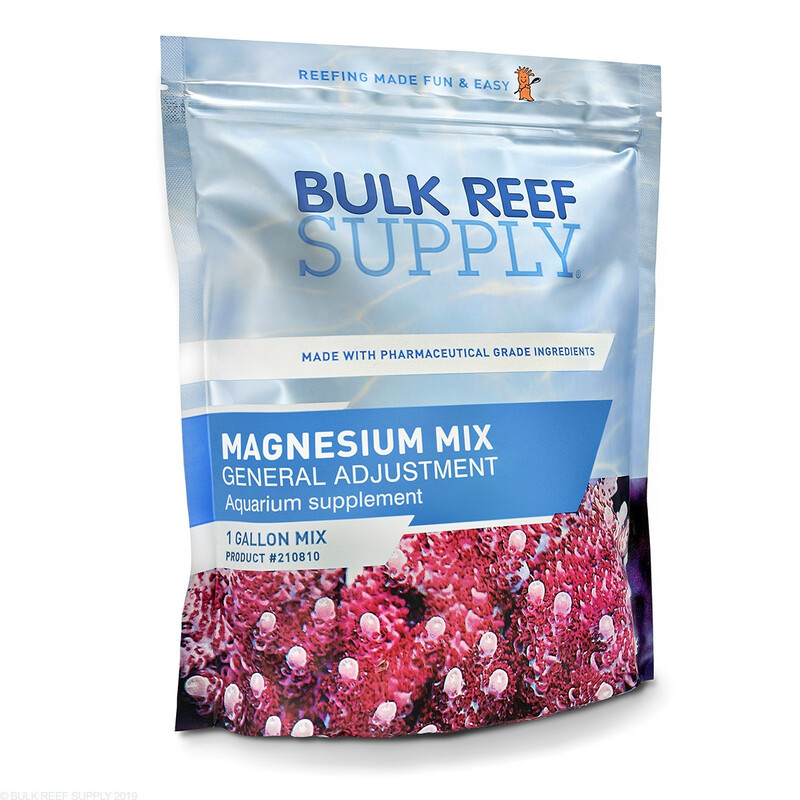 Maintaining proper magnesium levels helps achieve the essential balance of calcium and alkalinity in your tank by preventing excess calcium carbonate precipitation. Not all magnesium additives are created equal and the largest factor comes into the sulfate to chloride ratio in the magnesium solution. 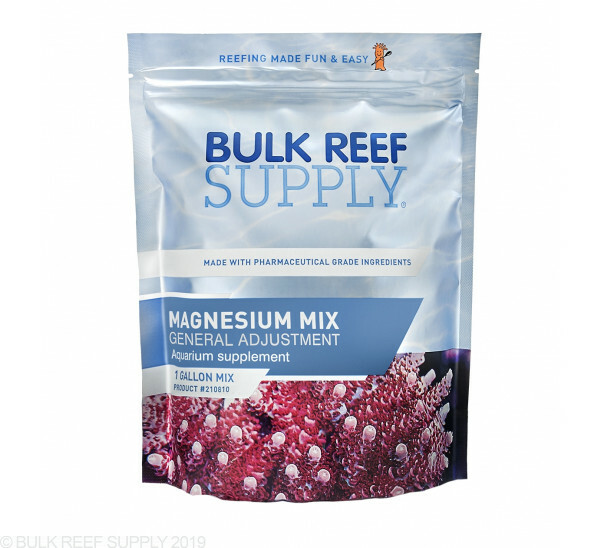 For large adjustments, you will want to use a magnesium solution that has limited amounts of sulfate to keep your reef balanced, where for daily 2 part dosing or maintenance a larger amount of sulfate is required to keep your reef balanced. 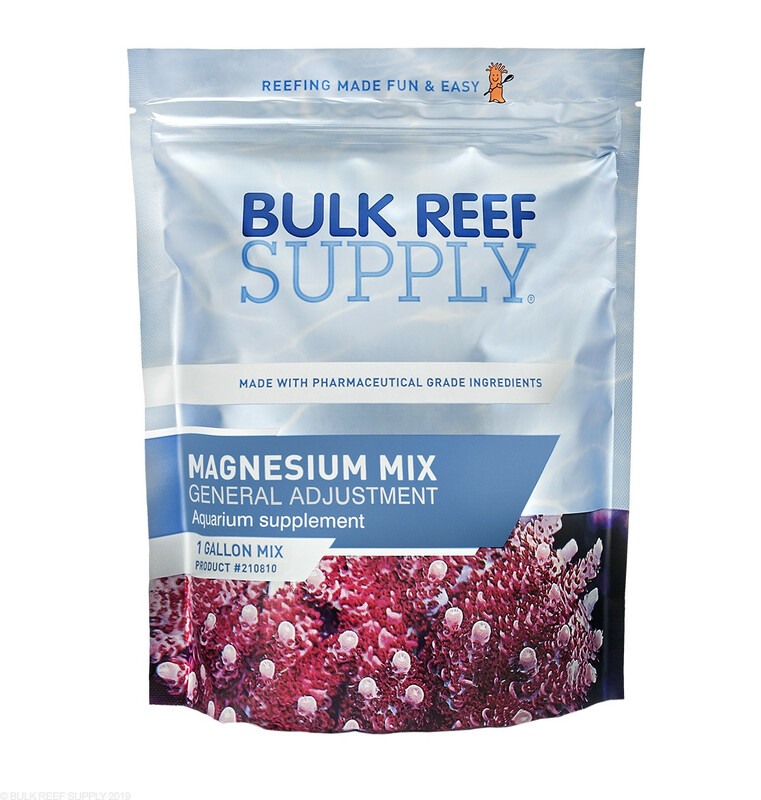 This is the preferred magnesium additive for your aquarium if you use kalkwasser or a calcium reactor. In most cases the magnesium media used in calcium reactors meets the sulfate requirements and does not become depleted. Fill a 1-gallon container 1/2 full of RO/DI or distilled water and then add the entire contents of the package into the container. Secure the cap on the container and shake it for about 10 seconds to help start the dissolving process. Remove the cap and fill the container the rest of the way with RO/DI or distilled water. Give the container a few more shakes and then let it sit until all the salts have fully dissolved before use. After mixing per instr. with RODI and shaking for days the mix did not stay in solution. Tried to use anyway and mg simply precipitated out. Not sure what the problem is. Def not as advertised! I love the Magnesium powder mix but I love the calculator you offer on how much to dose even more. I have been able to keep my magnesium at 1350 up from 1100 without any problems and again with the help of your dosing calculator it's super easy to maintain. Price and effectiveness usually get all the credit, but I'm going to give it to these 1 gallon portions on form factor! No need for a funnel, no measuring - just fill your jug with water, snip a corner of the pouch and voila - the pouch is your funnel. It's hard to put a price on that kind of efficient convenience! In addition, this one has a stronger tendency to clump than the other "2 part" ingredients in my experience, so buying single servings makes even more sense. If you are two part dosing this is a must have. Very east to use, just mix with a gallon of RO water. The calculater does the rest. High quality, mixes cristal clear. Mixes up crystal clear after it sits over night. No residue on the bottom. It seems to work stronger than the reef calculator indicates. I used about 1/2 of what the calculator suggested and I was even a little above my target of 1350. It has held that level for 2 months now. Much better value than those commercial supplements. this is very easy to mix and to use.when the Magnesium has fully mixed it is clean and look like RO water. my fish and corals seem to be happier. Whats the shelf life of these bags if theyre unopened? The shelf life on an unopened bag is essentially indefinite. Once opened, they will also last a very long time as long as no foreign material or moisture is added to the bag.